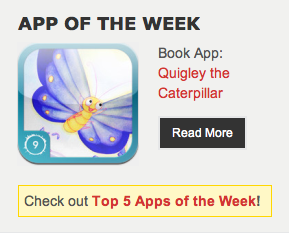 Quigley the Caterpillar got Top App of the Week! 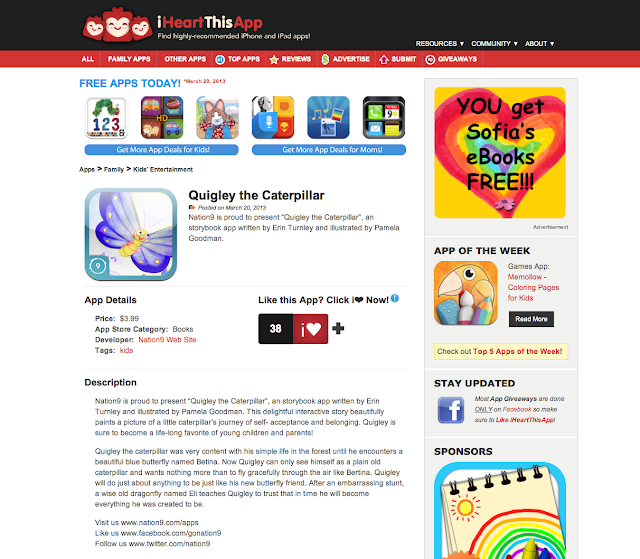 Quigley the Caterpillar available for i-Pad! 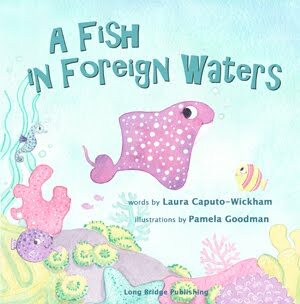 Happy Hungry Caterpillar Day! Im thrilled to announce that "Quigley the Caterpillar" by Erin Turnley, illustrated by me, Pamela Goodman, and published by Nation9 has now officially launched and available for the i-pad! 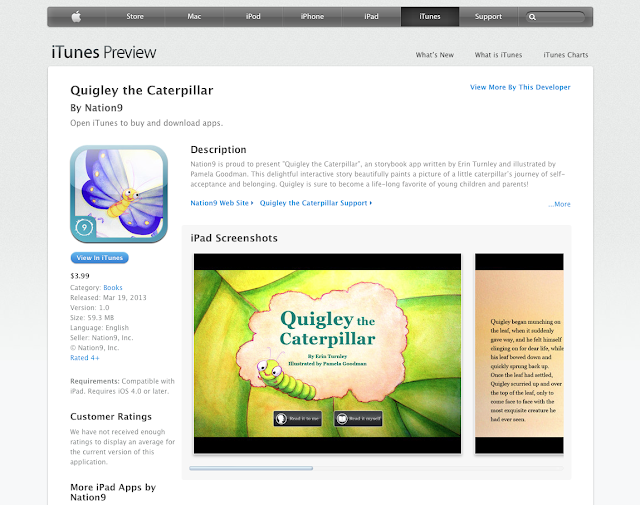 Click here for Quigley the Caterpillar on the iTunes app store. 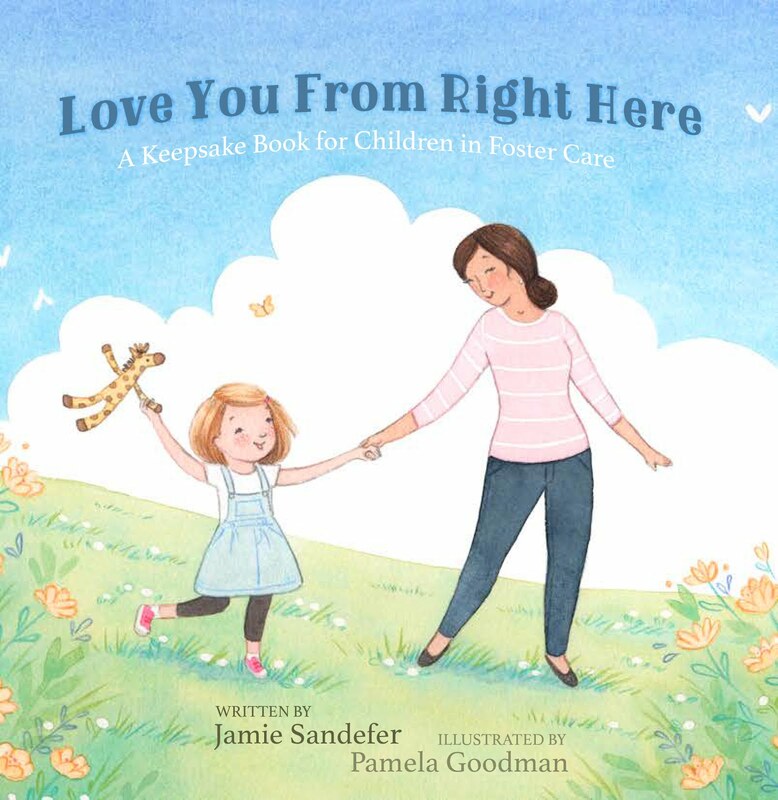 You can also get it for the kindle fire, from the Amazon app store. Quigley the Caterpillar was also featured on iHeartThisApp today! 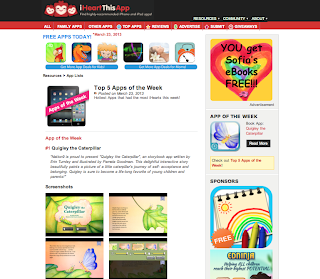 Give it a "heart" if you like this app, which I hope you do! 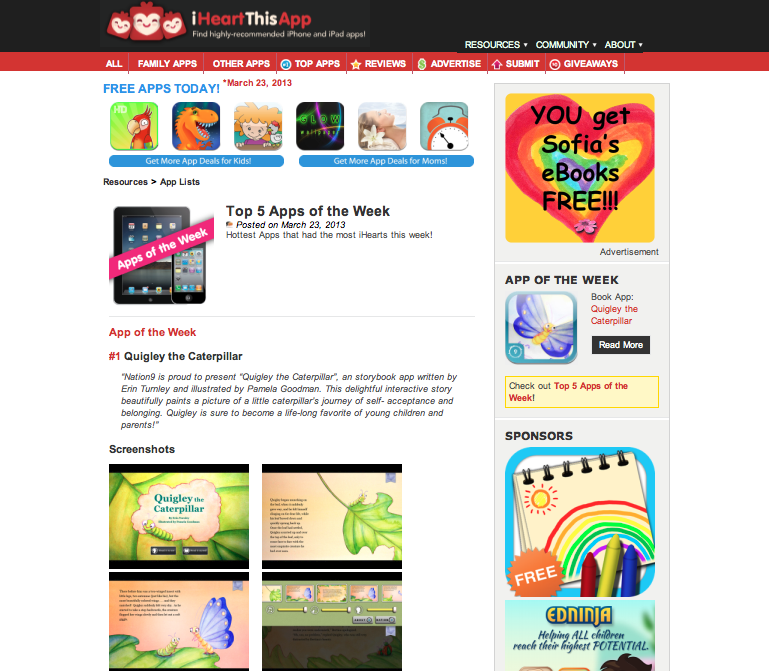 The more hearts the more chances it can win App of the week!